The model is shows the structure of a clay model, from the basic armature (high and medium density foam) though to clay and on to the Di-Noc vinyl coating. The vinyl coating is there to assist designers and modellers in to be able to see the highlights on the surface. The clay itself has the qualities of being able to take very finely detailed sculpting and is easily worked. It is not, however, all that reflective. The kind of small deviations from the ideal reflections are not easily seen. To workaround this the shiny metal-effect vinyl is put over the clay and the surface examined under the strip lights of the studio. Then one can see the fine detail required to assess surface quality. Even that is an impressive feat because good as Di-Noc vinyl is for simulating a painted surface, it is not realistic enough to capture the effect of real paint on a surface. Paint has a lot more depth to it, in part because of the clear coat and part because ultimately the physical structure of paint is not replicated in Di-Noc. You can see something of the difference between clay and metal in this photo. You might be interested in seeing this small promotional film. Some it seems obviously staged after the fact but the imagery of the clay milling and sculpting is informative. There’s also a review here of the 2018 iPace by Doug deMuro (who likes it). As if the simulation of the daylight impression of the shape is not hard enough, there’s the need to make it look good for photos. Having seen the car in the metal, and seen it as a clay and in photos, I can say the only version that looks good is the real thing. That ought to close the matter but it doesn’t because for many people the first time they see the car will be in a photo and the “reverse McBurger” effect can come into play. The McBurger effect is when you invited to buy a succulent, glossy, deeply-coloured hamburger as shown in the menu images but get, and accept, a damp wad of patty and shredded lettuce, and don’t notice. That’s because the menu image displaces your actual visual impression of the car. The reverse McBurger effect is when a less-than-impressive photo of a thing stops you from appreciating how good it looks in reality. I wonder if the way the iPace appears in print is misleading buyers. The iPace is a handsome and distinctly futuristic vehicle in the metal, more so than Teslas. The photos just don’t do it justice. I got to 8 minutes 30 seconds of deMuro’s review and liked what I saw. The bit that made me shout involved the HVAC controls. DeMuro approves of the rotary dials that require a toggle change to choose between temperature, flow rate and channel (feet, middle, face etc). In many ways the iPace is an impressive machine and at the same time, like all modern cars, burdened with a HVAC interface no ergonomist would ever choose for themselves. Thank you for this article Richard. It’s always good to understand better how it all works. I can confirm clay is easy to work with: I once bought a block of clay on a whim and made a rough small car at home. It had wheels made of plastic bottle’s caps ! I too like the iPace but fail to agree that it is more futureristic than a Tesla, How so ? The frontal aspect is conventional mimicking cars past and present which needed openings and grills that in turn become status symbols. Jaguars side profile appears short and frumpy due to minimal overhangs and the extra large wheels just emphasise this while body height thickness is masked by extraneous sill sculpting. I concede its all clever but not fully adapted to electrification as Tesla has done with clean gimmickless aerodynamic styling, no grilles, front and rear boots/trunks and a minimalist interior with matching control interface. If Tesla were to adopt a skateboard concept allowing different bodies on top it could become an industry game changer, a future of skateboards made by one company with various body configurations and designs from many just plonked on top. Separate the mechanics from the esthetics and simplify the industry. Am I the only one that think Teslas look like basic design proposals models ? Yes, they always looked ‘smooth’ and ‘clean’ but maybe not intentionally, more like unfinished studio proposals in my opinion. EVs need airflow for cooling the battery radiator and AC condenser, just like ICEs. You can cool both without a grill, but at the potential aero penalty of poor airflow thru and after the heat exchangers. 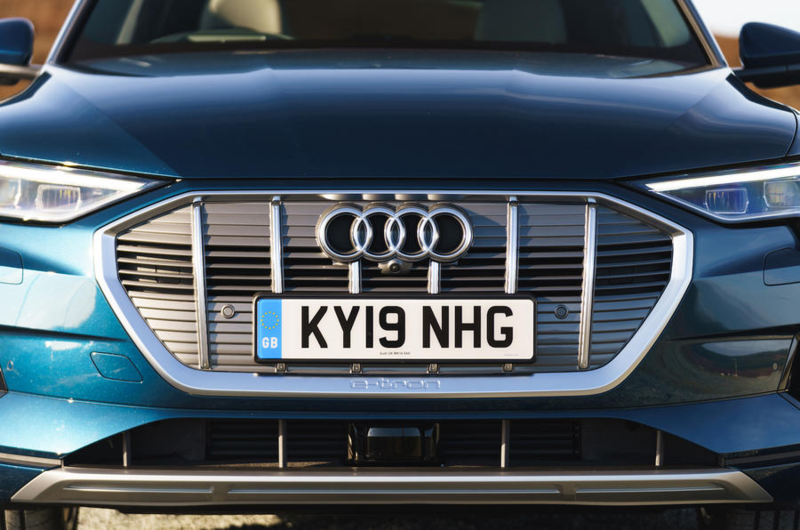 Audi obviously decided that corporate identity trumps authenticity, so the opportunity to do something more distinctive and less vulgar is squandered. What a shame. My point is that in the metal the Jaguar carries an other-worldly, science-fiction feeling that the photos don´t really carry across. It is better articulated than Tesla which, as is noted below, are missing some extra degree of finishing. They make me think of a person wearing tights over their face for a bank robbery. The high angle of the photo and, presumably, some lens distortion, made the front of the car look flattened and very odd indeed. The negative reaction generated by this photo forced BMW into releasing official photos earlier than planned. I guess this is why so many manufacturers seem to release official “spy” photos of models in development these days. Doing so allows them to control and create positive first impressions of forthcoming models. 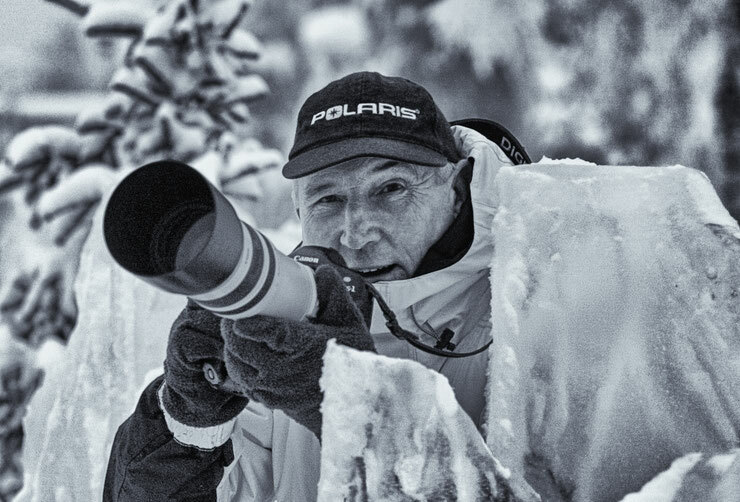 It also undermines and devalues the work of unauthorised spy photographers, which often involves spending long hours hanging around outside manufacturers premises or test tracks, hoping to get lucky. If I was turning Archie Vicar into a script, I´d have to add a hapless spy-photographer to the story. There are quite a few possibilities for this. But first, I´d need to cast Vicar´s tweed coat. It´d have to be a Bladen in oatmeal worn with dark twill trousers. White shirt and wool tie. Brogues. Before the invention of the now commonplace swirly plastic covering, manufacturers had to be more resourceful in disguising their prototypes. 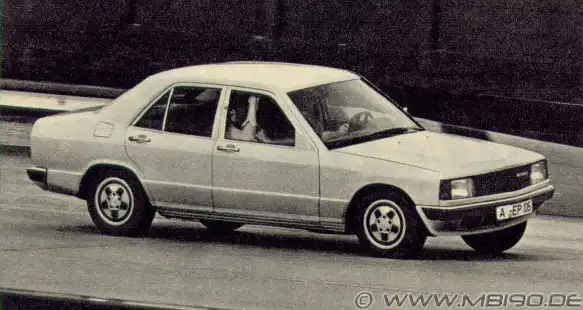 The Mercedes 190 in the image has a straight leading edge to the bonnet and an anonymous black grille, although there’s no disguising the typically Sacco-esque lines of the rest of the car. I’ve always been fascinated by car spy pictures (and rejected design proposals). These are my favourite things in the car world. I bought my first AutoPlus as a kid only because there were this strange car they called the DX (turned out it was the XM) on the cover in what looked like a furtive, stolen picture. The rest is History. Even before the Vasarely-inspired modern camouflage techniques, each manufacturer had its own way of doing it. I remember Fiat often had what looked liked black bin-liners on some of their cars. A lot of cars tesing in the U.S seemed to incorporate carton, Volvos had grotesque claddings with big holes on them, etc…..
Now some manufacturers have their own pattern, the latest being the fractal motif on Peugeot’s prototypes…..that connects it to their Fractal concept car. 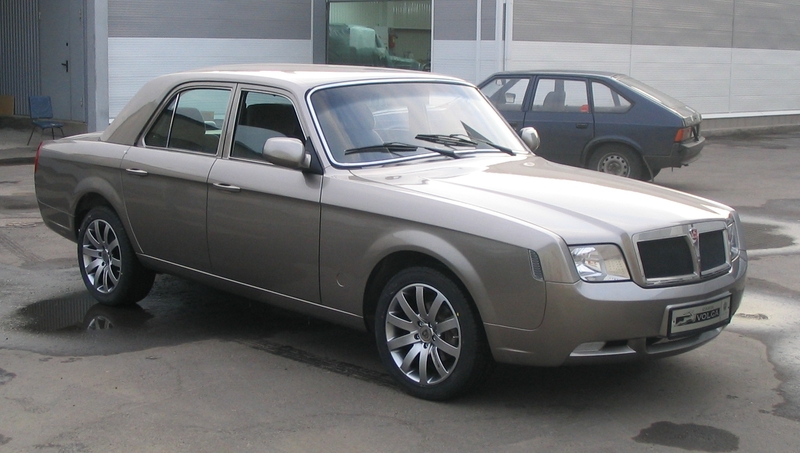 It’s a proposal to update the ancient Russian Volga saloon, and I rather like it. There’s something Lancia-ish about its formality, don’t you think? Only the DLO, particularly the rounded windscreen with broad chrome trim, gives away the antiquity of what lies beneath. Cool stuff here today! I think I remember that specific Auto Plus issue very well. My dad used to buy them at that time because you got better information on Citroëns than in the Swiss or German motor press. I guess this magazine survived for quite a long time in my boy’s room as I was a big fan of the XM when it came out. And then this Volga… I always had a soft spot for that car since my parents brought back some die-cast models of this (to me) unknown car from a trip to Prague in 1983 or so. Very exotic, especially that strange “ВОЛГА” imprint on the bottom of the car. After what feels like twenty or thirty facelifts to the poor old barge, the proposal here is one of the more successful attempts. Thank you for the prototype picture. There’s something Lancia indeed. The tail lights remind me of the Fulvia concept car. It’s the full-fat Jocelyn Wildenstein of automotive facelifts, don’t you think? I don’t envy his working environment! I too miss the thrill of seeing Lehmann’s spy shots. Nowadays you pick up a car magazine and the journos are even being allowed to write reviews of the still-disguised prototypes! Well it seems to work successfully in the Tesla so if they can do it why do we still need a grille in the iPace or any electric for that matter. Just checked my i3 and the cooling slot located at bottom of front is a mere 90 by 690, grills are totally superfluous on EVs. To my eye the Tesla has a clean look as in an early Porsche, something totally different from current trends which others seem to have embraced, afraid I don’t go with the flow! I also very much like Tesla designs, although on close inspection they do have some raw edges (misaligned trim etc.) that might betray the company’s relative lack of experience in the mass-production car making business. That said, watching all the doors open and close automatically on a Model X, including the falcon-wing rear passenger doors, is a real treat for a nerd like me. Archie Vicar and Siggy Brücken in “Chasing The Diplomat” sponsorsed by Craven A, Bitbürger and Townsend Thoreson. I like the Jaguar iPace and it’s the only such electric vehicle with its own race series, supporting Formula e. Tesla don’t have that. making the drag strip boys take notice! I have started to see I-Paces on the NW London roads where I currently lay my metaphorical residential hat. It’s a very striking car – almost jarringly so in its proportions, which are not what we might consider normal for a car of this stripe and especially not from a carmaker such as Jaguar. I might suggest that it is a more daring attempt at creating a design which makes a statement of its propulsive difference than that of Tesla, which to my eyes look a little anonymous and lacking in finesse. Apart from the Model X of course, which simply looks bloated. Has Doug DeMuro returned to sanity? I gave up on him some years ago and cannot be bothered to even click the link to his I-Pace piece. He’s a bit like a stopped clock, right twice a day, or year considering his subject matter. The first time I saw a Tesla, it was as I was returning in pouring rain from the supermarket to my car in the parking lot. Next to mine was a blue car that I mistook for a Maserati in the drippy blur. I moved forward and backward in my parking slot and finally realized it was a Model S. Very nice, but hellish expensive. Its logo had looked like the trident at a trot in the rain. The Model 3 looks shy and retiring without a face, a bit dopey but somehow pert. The I-Pace can actually be viewed at the Jaguar dealer – but there are no Tesla dealers in Canada bar Toronto and no rebates foe EVs from government for buying one in my province. Rich people like a bargain somewhat paid for by the serfs and especially electricity for an EV with no taxes of any kind on its purchase. So Teslas are rare because the purchase social discount doesn’t apply here. it looks smashing. On the other hand, the opposite effect can also occur. I find the new Mazda3 hatch in anything but flat colours looks mighty strange in the flesh – it looks as though it has a dent in the forward flanks in certain light in shiny metallic colours and the back end is elephantine as well. All a bit odd, actually. Tesla is going through rough patch number 19 right now. Sales were off in the first quarter this year, the cheap Model 3 has been canned without a one ever being produced for the hundreds of thousands who gave the firm a $1000 deposit three years ago, Panasonic has indicated it won’t take part in Tesla’s new China assembly plant except initially sending over some battery packs from the Gigafactory in Nevada, because it has lost $800 million on that deal. Tesla’s US stores are being closed except where leases cannot be broken, so it’s all online sales, and good luck with warranty. Its credit rating is shot. Cheering fanbois are still wandering about unable to see the grim reality and telling off anyone who doesn’t see things their way. But that’s life, once you climb on a tribal bandwagon, it’s hard to get off. 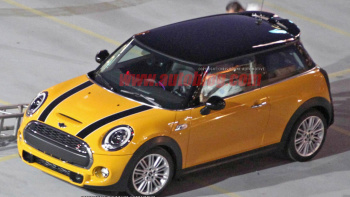 Cooling grilles? Citroen had intake grilles underneath the car to cool inboard brake discs on the DS 60 years ago, so one imagines the same can be done today. Looks like TSLA has been thrown a cash lifeline by FCA. FCA is giving TSLA hundreds of millions to save billions in EU fines. FCA has spent less on electrics than any other major manufacturer. And now they are buying what they need from TSLA for pennies on the dollar. The TSLA true believers have funded TSLA product development and production launch. And now FCA cashes in for minimal outlay. Smart. Richard Herriot: My point is that in the metal the Jaguar carries an other-worldly, science-fiction feeling that the photos don´t really carry across. It is better articulated than Tesla which, as is noted below, are missing some extra degree of finishing. They make me think of a person wearing tights over their face for a bank robbery. I absolutely get what you’re saying about Tesla design and the disguised bank robber look. Reminds me of the Autons in Jon Pertwee era Doctor Who…a waxy unfinished appearance. Thing is, I love that look. It’s smooth, it’s clean, it’s unpretentious and it’s not beholden to the compressed dinosaur fuelled aesthetic. Not only are Tesla a disruptor in automotive propulsion, they’re a disruptor in design (interior as well as exterior) as well. The absence of that tedious and pompous grille; the minimalist and unostentatious exterior…it’s a subtle smoked kipper of a slap to the chintzy cheeks of the usual suspects. I’m really glad the iPace exists (although it’s existence is probably due to the existence of Tesla), but I find the exterior design a busy and uncohesive mess…there’s simply too much going on. It’s a bit too bitty in my view. I have to declare a huge bias, as I drive a Tesla. And, whilst I enjoy interacting with it as a driver, I love to stare at its stationary visage even more. Dan: Welcome to the site, I’m very pleased you’re enjoying our little island of unreason. I usually wouldn’t answer for Mr. Herriott, but as he is away over the Easter break and out of communicable range I can only proffer my own view. I think Elon Musk has achieved something quite remarkable in successfully shaking a rather hidebound and complacent industry out of its stupor – although I would have to suggest that VW’s shameful deception has probably done more latterly to accelerate the shift Tesla helped jumpstart. That doesn’t mean I don’t have misgivings about how he comports himself or indeed how he runs his business, but then he wouldn’t be the first automotive CEO I could say that about. I consider the Model S to be a fine product. Attractive, if a little amorphous is my view. Occasionally I catch sight of one and find it arresting. Other times simply bland. I’m not entirely sure why. What I will point out is that Tesla are unshackled by the weight of heritage and of brand semiotics, unlike most of the mainstream carmakers, so it is easier for them to adopt an almost faceless appearance. This is harder to achieve with almost a century of history on your back. But while I take no issue with the exterior, I find myself underwhelmed by the quality and finish of the cabin. The minimalist look is fine in itself (although I do not get on with touchscreens), it is more the choice of materials, how they are employed and the manner in which they intersect. When I sat inside it all felt a bit ‘component-car’ to me and not really commensurate with what is after all a premium-priced product. My view on the I-Pace you’ll find above, so I will not reiterate it here. But I think there’s space in the market for both approaches. What I will say is that I have far more admiration for what JLR have done than the rather cynical efforts from Mercedes and Audi. Pleased to know as an EV user I now have company in “waving the flag” for them. Producing endless gimmicks to attract buyers. My early days was fifties America with every maker trying to up the ante with now seen as hideous designs and it appears most punters are still seeking this. Tesla’s clean profile and interiors are so at odds with today’s shapes plus buyers are “so conditioned “it produces negative reactions. Ad to this electrification and young company and you have all the ingredients for the many comments against the marque.